In Small Things Remembered » King Zahir Shah in his reconnaissance vehicle. Gordon Enders presented a Willys Reconnaissance Car to Minister of War Shah Mahmood. 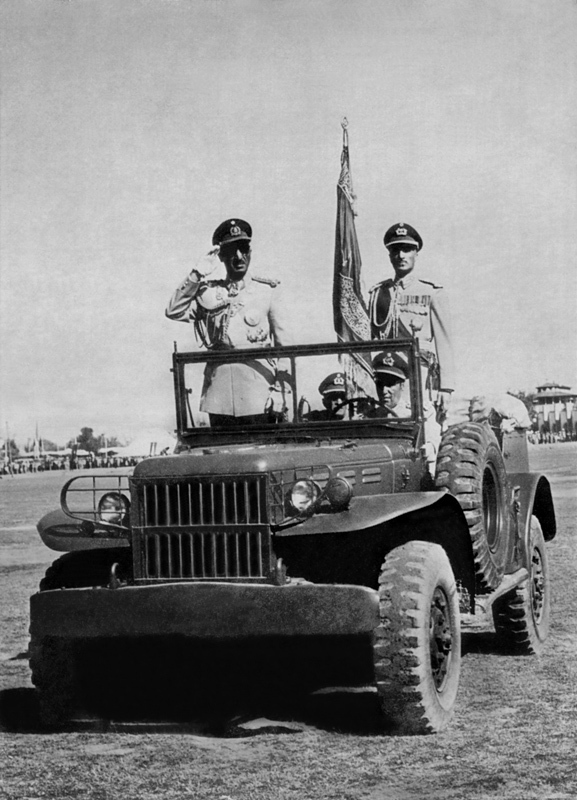 They gave a larger Dodge Reconnaissance Car to the King several months later. This photograph was probably taken during a 1950s troop review. Research suggests that the vehicle depicted is the King’s original gift.